Often called "Everybody's Favorite City," San Francisco is best known for its scenic beauty, cultural attractions, diverse communities, and world-class cuisine. Measuring 49 square miles, this walkable city is home to some exemplary planning practices in action like historic preservation, innovative smart cities practices, climate adaptation, and more. 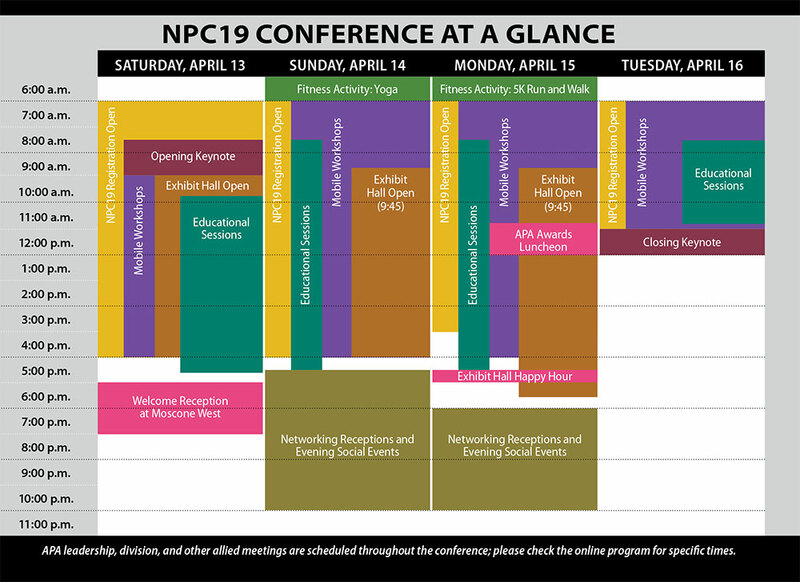 Friday, April 12: 1–5 p.m.
Saturday, April 13: 7 a.m.–5 p.m.
Sunday, April 14: 7 a.m.–5 p.m.
Monday, April 15: 7 a.m.–4 p.m.
NPC19 is at Moscone West in San Francisco. APA has arranged discounts on lodging at several hotels near Moscone West — some are just a short walk away. Wondering what to take with you? We've got you covered. The conference packet from APA. It will include your badge and event tickets. We will mail the packet to the address you provided at registration. If you need assistance updating that address, please email registrationchanges@planning.org. Be aware that we do not mail packets to registrants outside the United States and Canada. Their packets will be available for pickup on site. Business cards. You'll meet lots of people — have cards on hand to help them remember you! Resumes. 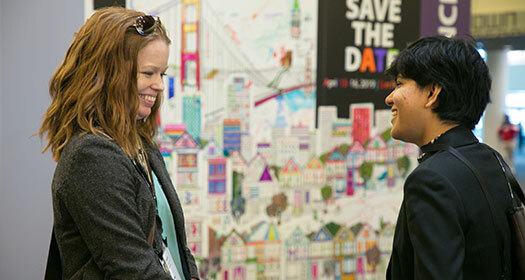 Your next career move could be waiting for you at NPC19. Take resumes even if you don't think you're job hunting. Phone, laptop, tablet. Free wifi will be available. Use your mobile device(s) to use the app, stay connected, take notes, tweet about #NPC19, and more. Remember your chargers, too! User tip: APA will provide a free charging station at the APA Pavilion. Business-casual attire. And comfortable shoes — you'll do a lot of walking. Also, if you're going on mobile workshops, read the event descriptions and consider the mode of travel.